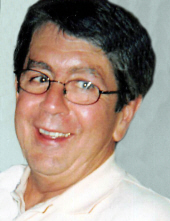 HAMDEN – Charles A. Sibley, III, age 75, died at his home on February 3, 2019 after a long illness. Born on October 20, 1943, in New Haven, Connecticut, he was a son of the late Charles and Helen (Cahill) Sibley. Charlie graduated from North Haven High School in 1961; he then joined the Navy and was assigned to fleets in the North Atlantic and those monitoring the Cuban blockade. Upon honorable discharge from the Navy in 1963, Charlie founded All Seasons Comfort Heating and Air-Condition and was in business for over 40 years. Charlie loved his children and grandchildren as well as gardening, sailing, golf, and the New York Giants. He is survived by his daughter, Heather L. Sibley, of Cheshire; his son and daughter in-law, Jason and Kim Sibley, of New Haven; a grandson, Levi S. Sibley; granddaughters Hailey Howell and Violet Sibley; and his brother and sister in-law, James and Joanna Sibley of Spring, Texas. Charlie was the former husband of Cynthia Waggoner and Sheila Creed. Friends may visit with Charlie’s family on Friday, February 15, 2019 from 5:00 to 8:00 p.m. at Beecher & Bennett Funeral Home, 2300 Whitney Ave, Hamden and may attend his Funeral Service on Saturday, February 16, 2019 at 10:00 a.m. in Dunbar United Church of Christ, 767 Benham St. Hamden. Burial with Military Honors will follow in Mt. Carmel Burying Ground, 3801 Whitney Ave. Memorial contributions may be made to the Sleeping Giant Park Association, P.O. Box 185340, Hamden, CT 06518. To send flowers or a remembrance gift to the family of Charles A. Sibley, III, please visit our Tribute Store. "Email Address" would like to share the life celebration of Charles A. Sibley, III. Click on the "link" to go to share a favorite memory or leave a condolence message for the family.